In summer, things tend to slow down a bit. The kids are out of school, families are taking vacations, and Florida’s citrus harvest has been completed for the season. 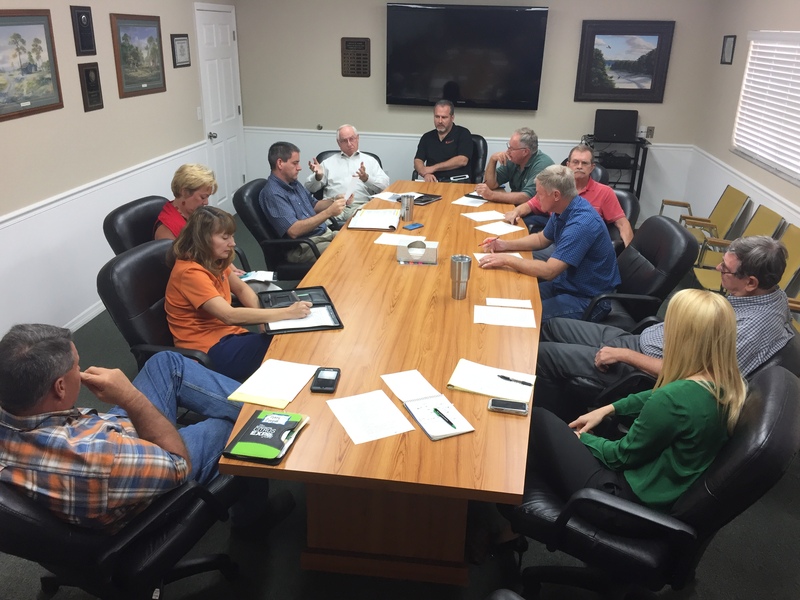 But at AgNet Media, the pace is picking up as planning for Citrus Expo 2017 is in full force. Citrus Expo, the world’s premier citrus trade show and seminar program, will take place August 16–17 at the Lee Civic Center in North Fort Myers, Florida. Now in its 26th year, Citrus Expo is gearing up to be the largest event of its kind in the southeastern United States. Already, the show has completely sold out of indoor exhibit space, with only limited outdoor space available. While the event draws a large number of Florida citrus industry members, attendees also include those from other citrus-producing states and countries. Citrus Expo Seminar Planning Committee meeting. Seminar session topics will include the most recent findings in pest management, plant improvement and production. By attending the seminar program, growers will earn continuing education units toward a Florida restricted-use pesticide license and the Certified Crop Adviser designation. Pre-registration is now open for Citrus Expo 2017. Register online at CitrusExpo.net/registration, e-mail CitrusExpo@AgNetMedia.com or call 352-671-1909. Growers who register in advance of the show will be automatically entered into a drawing for a chance to win a John Deere gun safe, courtesy of Everglades Farm Equipment.